Sounds harsh, but this is what my professor said. I remember sitting through that 2 ½ hour night class in a panic. I was a college sophomore and had not made any real steps in order to pursue one. After class, I called my mom, rambling how I was never going to get a job because I had no internship. She assured me it would be ok and I still had time. That summer I ended up landing an internship. 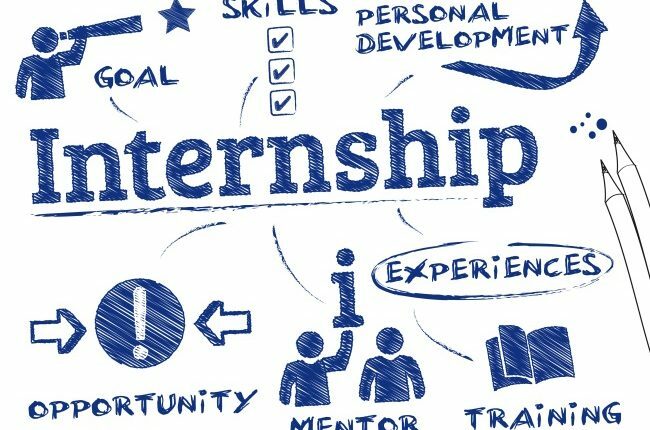 So why are internships necessary? • Real world experience. You truly learn so much working with people in the industry. • The connections you make. • You learn a lot about yourself. (What you like/don’t like about the industry). • Potential for a full-time position. A lot of internships choose to extend the position to permanent. Furthermore, often people think they are too qualified for an internship after they have a degree. Internships can still open doors. After being unhappy at my first job right out of school, I applied for an internship. They offered me an entry- level position instead. So my advice to you is to apply for internships. It just might lead to a job you love.